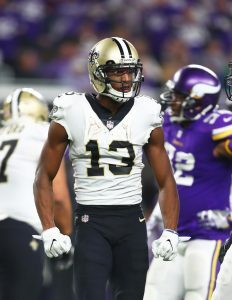 Saints star receiver Michael Thomas has been sensational since New Orleans selected him in the second round of the 2016 draft. Yes, he has benefited from having a Hall of Fame quarterback throwing him the football, but his hands, route-running, and athleticism suggest that he would excel in almost any offensive attack. Through the first three years of his career, Thomas is averaging a whopping 107 receptions per season to go along with 1,262 yards and nearly eight touchdowns. His yardage and reception totals have improved each year, and he finished the 2018 campaign with 125 catches (on 147 targets) for 1,405 yards and nine scores. The advanced metrics value his work as well, as Pro Football Focus rated him as the No. 2 receiver in the league last season, and among receivers with at least 50 targets, he ranked third in the league in Defense-adjusted Yards Above Replacement, which is Football Outsiders’ receiving metric. And, now that he has completed the third year of his rookie contract, he is eligible for a long-term extension. He is due a comically low $1.148MM salary on the final year of his rookie pact in 2019, but both player and team would like to get a new contract hammered out this offseason. To that end, Thomas recently signed with agent Andrew Kessler of Athletes First after cutting ties with David Mulugheta in November. Thomas and Mulugheta reportedly had a “difference of opinions,” and Thomas has now changed agents twice in his three professional seasons. It is unclear what exactly Thomas and Mulugheta did not see eye-to-eye on, but Thomas is set to cash in with his new representation. The former Buckeye turns 26 next month, and he may reset the top of the receiver market. Presently, Odell Beckham Jr. is the top earner among wide receivers, as his recent extension is worth $90MM overall, has an $18MM average annual value, and includes $40.959MM in total guarantees. Antonio Brown ranks second in AAV with a $17MM/year mark (though he wants to redo his deal), and Mike Evans‘s contract has the second-highest total value ($82.5MM). There was some chatter that OBJ could be the first receiver to hit the $100MM mark, and he may have gotten there if not for some injury and off-field issues. Thomas, who does not have any notable health or character red flags, could be the guy. It would not be surprising to see him land a five-year, $100MM pact with a $40MM+ guarantee. Of course, the Saints (as always) do not have much cap space, so they will need to be careful about how they structure Thomas’ extension, assuming the two sides are able to come together on a deal. The guess here is that New Orleans will not risk letting Thomas get away and will hand him a record-setting accord before they even have to think about tagging him. After spending the better part of Champ Bailey‘s 10-year run in Denver trying to find a quality complementary cornerback, the Broncos landed two during a 2014 offseason in which they cut Bailey. And for the past four years, no team could match the Broncos’ cornerback trio of Chris Harris, Aqib Talib and Bradley Roby. This coming season will feature a different Denver secondary, however. The Broncos traded Talib to the Rams and signed Tramaine Brock to likely slide in as their new No. 3 corner. 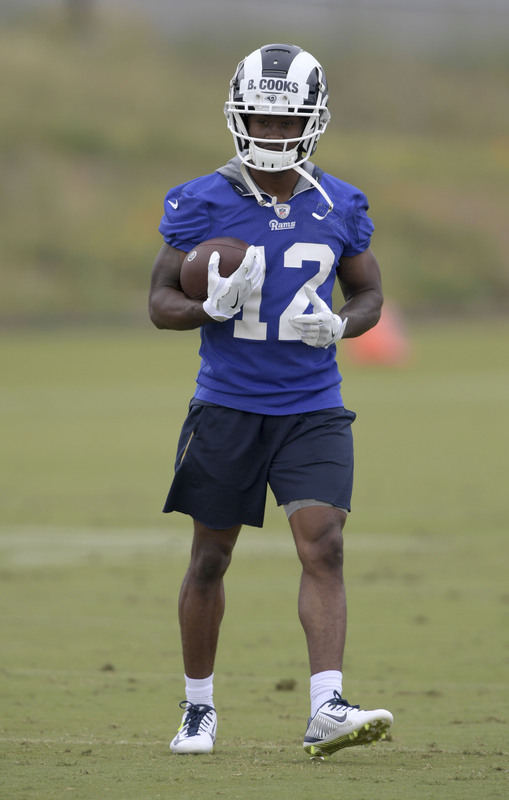 With Harris a proven starter, eyes will shift to Roby as he becomes a full-time first-unit player for the first time. He’s entering a pivotal year for his future with Talib out of the picture. Likewise, the Broncos will see how their pass defense changes without Talib and will be eyeing Roby’s viability as a long-term cog. No extension talks have been known to have taken place this offseason. Roby’s salary spikes to $8.53MM on the fifth-year option, which is part of the reason the Broncos traded Talib and his $12MM cap number. Denver’s right cornerback the past four years in sub-packages, Roby has both been a key presence on one of the best pass defenses in modern NFL history and enjoyed the odd distinction (for a former first-round pick) of being the third-best corner on his own team throughout that span. However, Roby’s held his own while teams largely tried to avoid Harris and Talib. In 674 snaps, Roby graded as Pro Football Focus’ No. 25 corner last season. The Broncos are still relying on their Super Bowl 50 core, but they don’t have much of a future nucleus in place just yet. 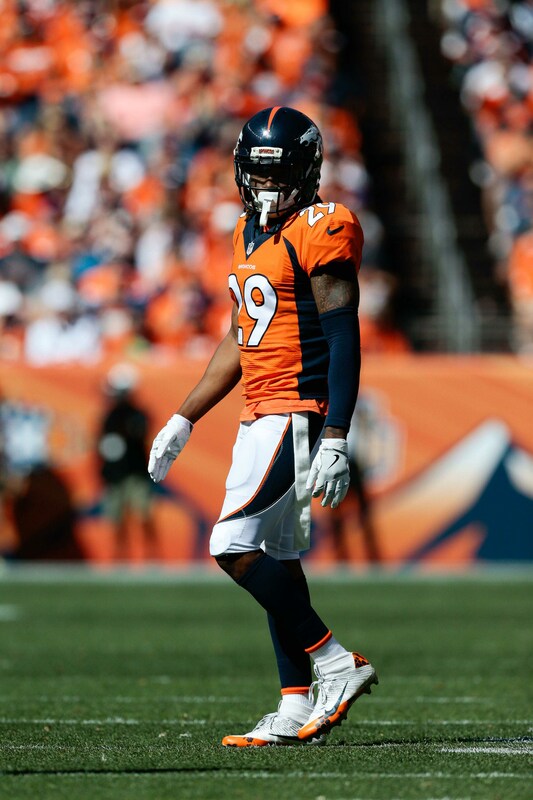 Despite having an integral role on the 2014 and ’15 Broncos teams that made the playoffs, Roby at 26 would fit the profile as a player to build around going forward. On one hand, it would make sense for the Broncos to initiate talks with Roby now to see if they can get him locked down on the kind of team-friendly deal Harris signed in late 2014. After all, he held the same role for four seasons to give the team a solid glimpse of his capabilities. 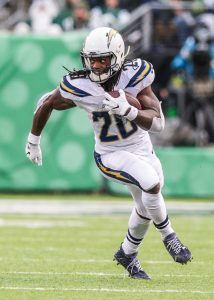 But given the kind of corner contracts handed out the past few years, it would also be logical for Roby to bet on himself and hope he can firmly place his price into the eight-figure-per-year range with a strong season as a starter. The Logan Ryan/Dre Kirkpatrick/Jimmy Smith tier ($10MM-$11MM AAV) would be well within range for Roby if he thrives as a starter, with a possibility of a climb to a slightly higher perch — on a 2019 cap that can be expected to approach $190MM — likely in play as well. While a Roby deal would keep part of the Broncos’ corner cast together, the team would also would seemingly have to address Harris. The All-Pro corner has played on an incredibly favorable deal for the Broncos the past three seasons and would be entering a contract year in 2019. The 29-year-old former UDFA proved to be the Broncos’ most consistent defensive back when he, Talib and Roby played together. And if Roby receives an extension, Harris would figure to justifiably ask for more on his next deal — if it comes from the Broncos. Denver also drafted third-round CBs the past two years in Brendan Langley and Isaac Yiadom. This route would provide an alternative to a future with two high-level cornerback contracts on the books, but Langley struggled in limited time as a rookie and Yiadom has yet to play a snap. Also complicating a Roby re-up are the walk-year statuses of Matt Paradis and Shaquil Barrett — PFF’s top two overall RFAs from this past offer sheet window — along with the Broncos’ projected $9MM of 2019 cap space. Of course, some of their veterans’ contracts become easier to shed after this season, opening up flexibility in the event the Broncos believe they can retain Barrett and Paradis. Considering Miller and Bradley Chubb are signed long-term, that might not be feasible if Barrett has a strong contract year. Of course, with corners and edge rushers being Denver’s calling card post-Peyton Manning, ensuring two quality outside cover men are still on the roster after this season could be a high priority for a team looking to maximize an older nucleus’ primes. Back in May, we learned that the Vikings hoped to extend the contracts of a few of their key young players: Anthony Barr, Stefon Diggs, and Danielle Hunter. Hunter just signed a lucrative long-term deal at the end of June, which allows the team to turn its attention to Barr and Diggs. We have already examined Barr as an extension candidate, so now let’s take a deeper look into Diggs’ case for a new contract. Earlier this decade, Diggs was one of the most sought-after high school recruits, a consensus five-star prospect who landed scholarship offers from blue-blood programs like USC, Ohio State, and Auburn. But Diggs, a Maryland native, spurned those offers and opted to play for his hometown school, which delighted Terrapins fans but which may have had a negative impact on his earning power during the early stages of his professional career. Although Diggs flashed his breathtaking talent at Maryland, he was held back to some degree by poor quarterback play and by injuries. so when he elected to forego his senior season and enter the NFL Draft in 2015, he slipped to the fifth round, where the Vikings finally scooped him up (Diggs’ smallish stature also didn’t help his cause). It would be hard for Diggs to complain too much, though, as he has established himself as one of the best young wideouts in the league during his first three years in Minnesota, and he will head into his platform year with the prospect of catching passes from the best quarterback he has ever played with, Kirk Cousins. If all goes according to plan, Diggs could be one of the hottest commodities on the open market next offseason, and the Vikings would like to lock him up before that happens. As usual, there are some issues for both sides to think about when negotiating Diggs’ big payday. Diggs has yet to top 1,000 yards in a season, and his professional career, much like his collegiate one, has been hampered by injuries. Though Diggs has not yet missed significant time as a pro, he has dealt with groin issues in each of the last two seasons, and he said he was “never the same” in 2017 after suffering a groin injury in Week 4. His knee and hip have also given him problems. On the other hand, the receiver market has been booming, and Joel Corry of CBS Sports believes that Davante Adams‘ four-year, $58.5MM extension with the Packers would be a realistic foundation for contract discussions (after all, Adams has not yet cracked the 1,000-yard mark either, and he only recently became Green Bay’s No. 1 receiving option). Alternatively, now that the Vikings have Hunter under contract for the foreseeable future, Diggs could be hit with the franchise tag next offseason, though the $17MM projected tag number for receivers may be unpalatable for Minnesota, regardless of how good Diggs is in 2018. Corry suggests that, in light of the massive contracts that relatively unaccomplished receivers are pulling down, Diggs may be inclined to test the open market even if he ultimately wants to remain with the Vikings. The guess here, though, is that the two sides will reach an accord before Diggs officially hits free agency. 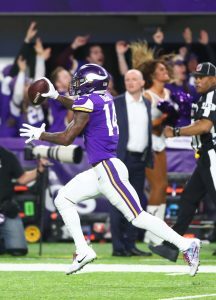 Minnesota has a track record of extending its key players during contract years, and the chance to lock in a boatload of guaranteed money may be too enticing for Diggs to pass up, as he has played the first few years of his career on a bargain fifth-round rookie deal. He will likely not reset the receiver market even if he becomes a free agent, and Minnesota will certainly pay him like a top-10 player at his position. A four-year pact in the neighborhood of $60MM, with $20MM or so in guarantees, seems like a good bet. Last year, the Eagles tacked some incentives onto Brandon Graham‘s deal amidst rumblings that he was considering a holdout. Graham is once again pushing for an extension as he nears his walk year, but this time around, it’ll take more than an extra $1.5MM in performance bonuses to satisfy him. Graham is among the best 4-3 defensive ends in the game today, but his current salary does not reflect his performance. His average of $6.5MM/year on his current contract ranks 20th among 4-3 DEs, despite the fact that he graded out as the eighth-best overall edge defender in the league last year. 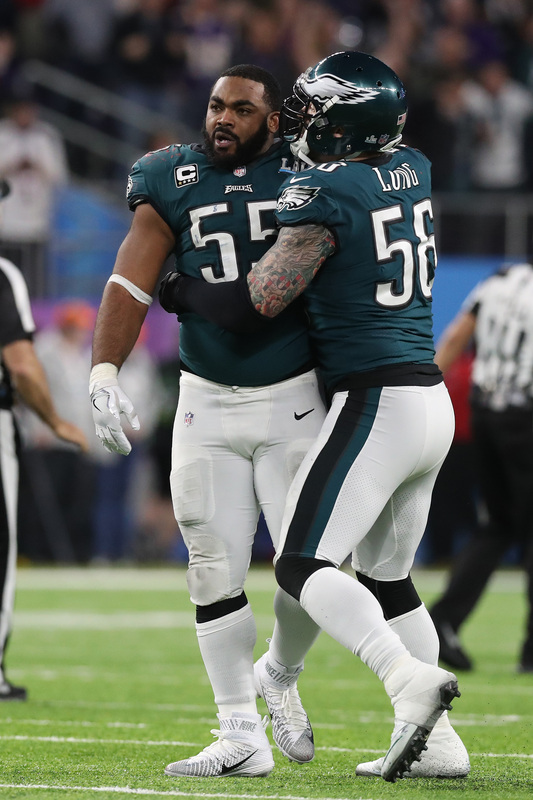 The veteran is coming off of a career-high 9.5 sacks and even iced the Eagles’ Super Bowl victory with his late-game strip sack of Tom Brady. Even though he celebrated his 30th birthday in April, he has plenty of juice as he sits across from GM Howie Roseman at the table. Recently, Joel Corry of CBSSports.com predicted that Graham would not accept anything less than Everson Griffen‘s four-year, $58MM extension with the Vikings, which includes $18.8MM in full guarantees. Graham is 30, but Griffen is a few months older than him and is arguably the lesser player of the two, despite his 13 sacks in 2017. The Eagles want to keep Graham in the fold, but their tight cap situation may limit how far they can go. A creative workaround for both sides may be to give Graham an even greater guarantee percentage than Griffen. After the Vikings gave Griffen a healthy 32.4% fully guaranteed at signing, the Eagles may be willing to push that number closer to 40% in order to shave some dollars off of the overall total. It wouldn’t be completely unprecedented – the Giants guaranteed $40MM of Olivier Vernon‘s $85MM free agent deal in 2016, which accounts for 47% of his deal. Graham’s age and recent offseason ankle surgery may give the Eagles some pause about a hefty guarantee, but the former first round pick has not missed significant time since the 2011 season. There are worse bets to make, and a fat guarantee could give the Eagles the flexibility they’ll need to retain players like running back Jay Ajayi, cornerback Ronald Darby, and wide receiver Nelson Agholor down the line. This offseason, we have (rightfully) heard a great deal about potential extensions for star defenders Aaron Donald, Khalil Mack, and Jadeveon Clowney. 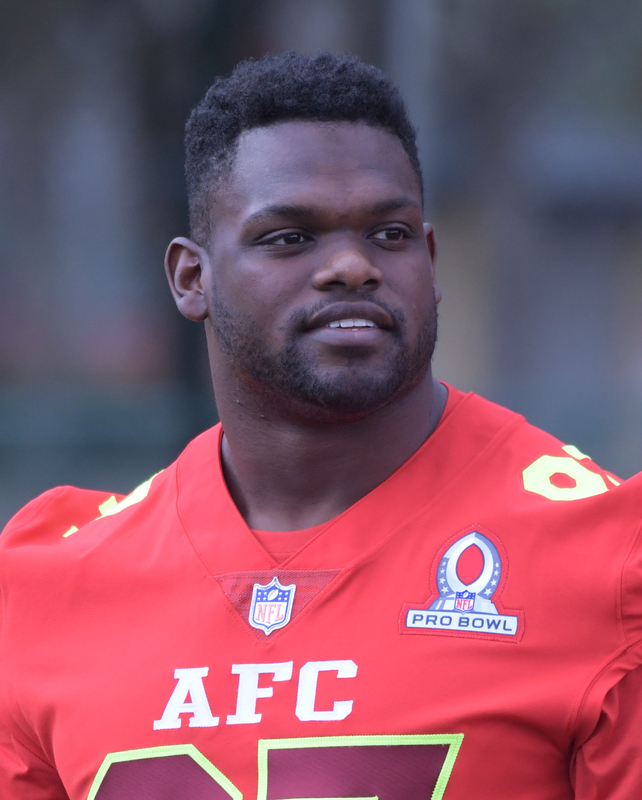 That discussion has overshadowed Geno Atkins, to some extent, as he pushes for a new deal. The defensive tackle inked a five-year, $53.3MM extension with the Bengals back in 2013, which has him in place through the 2018 season. The deal has proved to be a winner for both sides. For the Bengals, the deal allowed them to keep a top performer under contract at roughly $10.6MM per year while the market advanced at a sharp rate. Atkins, meanwhile, made more cash than he could ever hope to spend and is now primed to do it all over again at the age of 30. When Atkins’ deal began in 2014, he was the NFL’s third-highest paid 4-3 defensive tackle with a $9MM cap number. Today, his $9.5MM cap figure for 2018 places him seventh in the same category. After finishing the year as Pro Football Focus’ No. 2 ranked interior defender – behind only Donald – something has to change. Like Donald, Atkins is a stout run defender with the ability to also disrupt opposing quarterbacks from the interior. Atkins has notched at least nine sacks in each of the last three seasons, and, save for the 2013 season cut short by an ACL tear, he has never missed a game. Donald is still three years younger and in a class of his own, but Atkins has been far more dominant than many outside of Cincinnati realize. If Donald signs first, Atkins’ camp will have a favorable comp to work off of, even though his deal will be worth less. 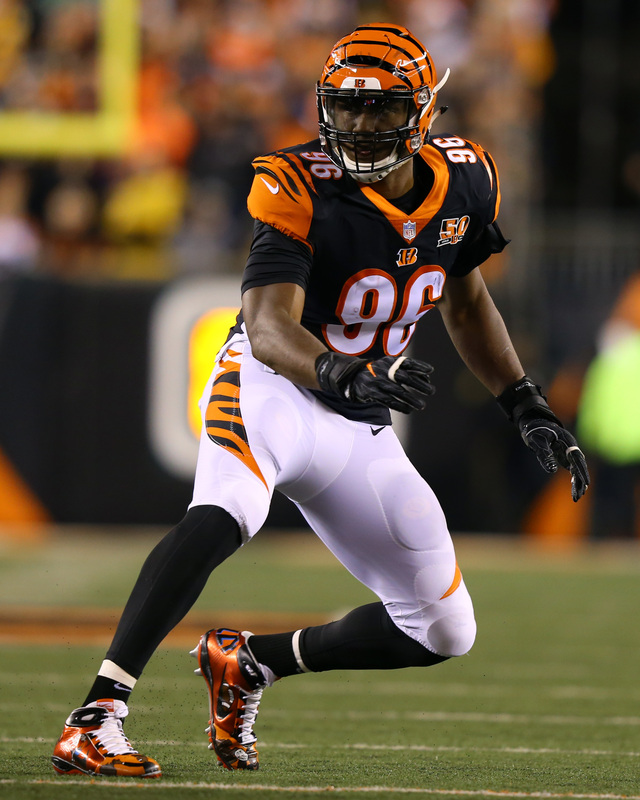 The Bengals aren’t technically on the clock here, but they may want to get a deal done sooner rather than later. A new deal for Atkins will definitely cost eight figures per year, but it remains to be seen how far the Bengals will go. With a fluid cap situation both this year and next, you can expect the Bengals to lock up Atkins on a multi-year deal worth around $12MM per season. Despite an injury-riddled rookie season, Texans edge rusher Jadeveon Clowney has blossomed into one of the league’s best defensive players. 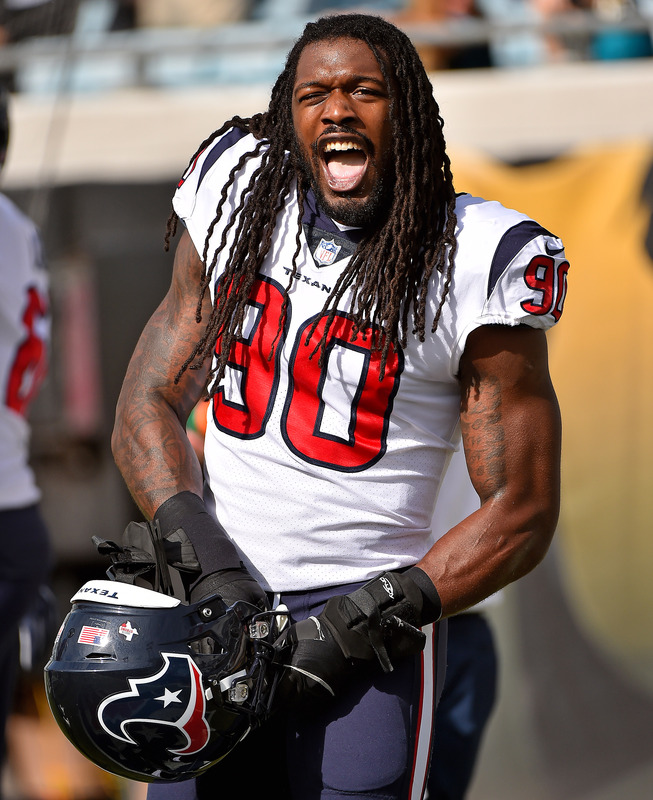 Now coming off of his second-straight Pro Bowl selection and his first full season, Clowney is pushing for a lucrative new deal to put him near the top of the market at his position. Thanks to the fifth-year option, the Texans have Clowney under contract for 2018 at a salary of $12.3MM. After that, Clowney will be eligible to hit the open market, unless the Texans use the franchise tag or iron out an extension with him. The projected franchise tag amount often provides a framework for deals, but it’s a bit more complicated than that in Clowney’s case. In 2016, Clowney saw a great deal of time at defensive end in the Texans’ 3-4 scheme. Last year, he saw more time at linebacker than defensive end. It remains to be seen how Clowney’s position will be defined for purposes of the tag. If he’s classified a linebacker, then the tag will be worth around $16.3MM in 2019. If he’s considered a defensive end, then the Texans will be looking at the prospect of at least $18MM for the one-year placeholder. The Texans and Clowney have not made significant strides on an extension just yet, and that could have something to do with Clowney’s slower-than-expected recovery from a recent knee procedure. The pending extensions for Khalil Mack and Aaron Donald may also hold things up. We could see a three-way game of chicken here as each player would probably like to use one of the other deals as a framework for talks. Then again, Clowney is not quite as accomplished as Mack and Donald, so his agents might not be wary about being the first to the trough. So, what sort of deal would make sense for both sides? The Texans showed a willingness to back up the Brinks truck in 2014 when they gave J.J. Watt a six-year, $100MM deal, but his injury issues are a reminder of the risks that come with big-money deals. Clowney’s camp will certainly use Watt’s deal as a reference point, but they could use Olivier Vernon‘s five-year, $85MM free agent deal with the Giants as their real blueprint. Clowney just turned 25 in February, so a shorter deal would allow him to hit the open market near the age of 30, giving him an opportunity to cash in all over again. Copying Vernon’s deal to the letter would give Clowney $17MM/year on average with a whopping $40MM fully guaranteed at signing. An equivalent deal adjusted for cap increases, meanwhile, would give him nearly $19.5MM per season, which may be too rich for the Texans’ blood. For reference, the AAV on that deal would top Von Miller‘s six-year, $114.6MM contract, which presently stands as the league’s richest deal for a defensive player. 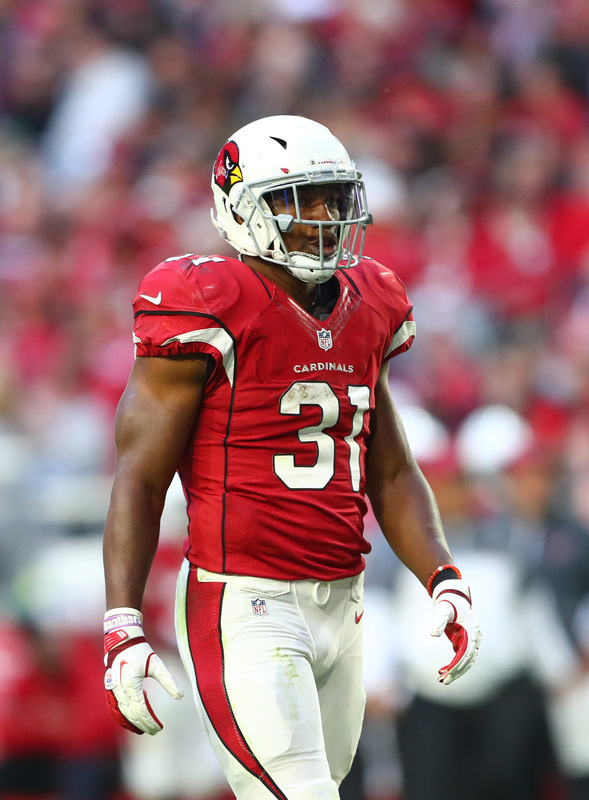 If it wasn’t previously clear, David Johnson‘s importance to the Cardinals was emphasized after he was lost to a season-ending injury back in September. The team’s offense ultimately finished with 86.6 rushing yards per game, the third-worst mark in the league, and their 3.4 yards per carry was the second-lowest average in the NFL. However, while Johnson is undoubtedly a huge part of the Cardinals’ offense, the front office may be hesitant to pay the former third-rounder top dollar. The 26-year-old is set to earn $1.8MM in the final year of his rookie contract in 2018. While previous contract negotiations had been described as productive, Johnson surprisingly sat out the team’s mandatory minicamp last month. This may simply be an attempt by Johnson’s camp to lock up a long-term deal as soon as possible. After all, the running back is coming off a campaign that saw him appear in only a single game, and another injury could cost him some big money. Either way, Johnson’s June hold out was partly semantics; if the running back fails to report to the team by August 7th, it would delay his free agency by an entire year. As things stand right now, the Cardinals seem to be in the driver’s seat thanks to the modest running back contracts that have recently been handed out. As Corry points out, the average salary of the five highest-paid running backs is south of $11MM per season. The agent also notes that Falcons running back Devonta Freeman‘s $8.25MM average salary is the current benchmark for the position. The Cardinals also have the ability to capitalize on the franchise tag, which would pay Johnson $11.9MM in 2019. After finishing with 1,239 yards and 16 touchdowns during the 2016 season, Johnson proved that he was a foundational piece for the Cardinals. However, while both sides would presumably like to agree on a long-term contract, there’s also incentive for both sides to wait. Therefore, we shouldn’t be all that surprised if the organization and Johnson engage in a staring match for the foreseeable future.